Location:Valley of the Sun ! 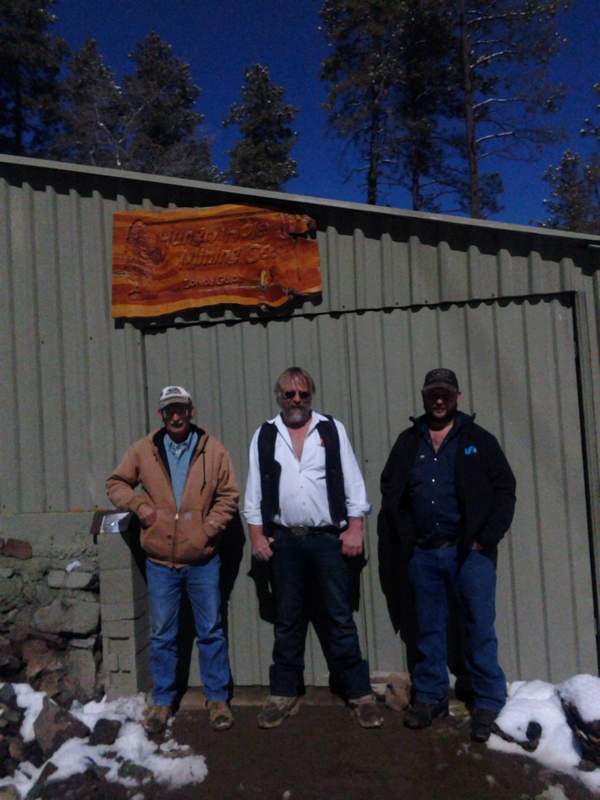 A friend of mine set up a tour for Tony Beets (Gold Rush) and his friend Joe today. We gave them the Mine tour on my friends property, a little plinking at a target over 600 yds , lunch at the Crown King Saloon, the overlook above the Savoy, Oro Belle, Mascot , back to the cabin for more story telling and then on to Chilleens on 17 for dinner in BC City and back to Phoenix . Very nice people and he sounds like a true workaholic when their season is on . They gave us the invite to the Klondike when we want to get away . Talked to Tony at the gold show. Great guy! Is he from England? Looks like a mophead from the 60's. Seriously though, he sounds like an interesting guy. Tony is from the Netherlands and is Dutch. Tony's wife is a real sweetie too! 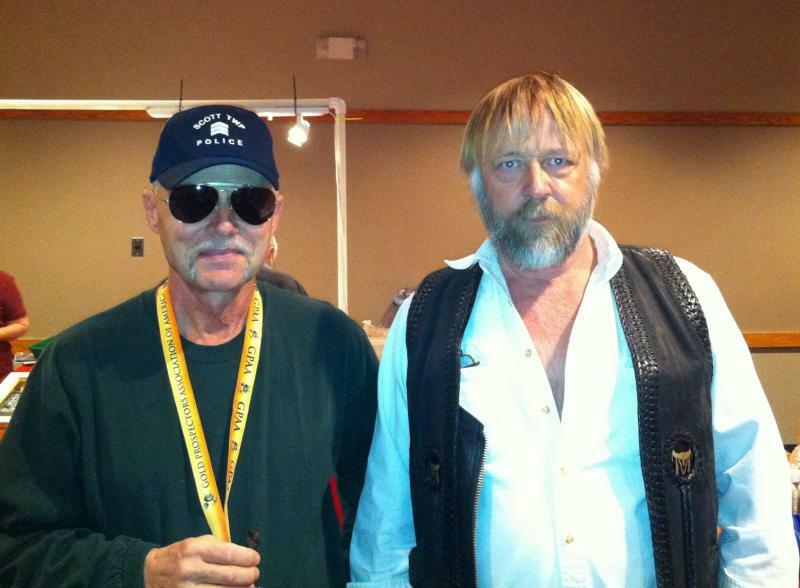 A friend of mine set up a tour for Tony Beets (Gold Rush) and his friend Joe today. Not much for watching reality TV but I'm going to have to sit down and watch it one of these days. Have seen some previews somewhere and looks interesting. Tony was pleased enough with his tour yesterday that he called Jerry today and invited us up to Portland for the Live Gold Rush Show Feb. 22 . It will be interesting meeting all the cast . I mean, wheres the Detectors going over the tailings? I bet they are miss some good gold! That would have been hella cool to meet him. Great post guys !! Interests:Why else would I be here? Yep, Minnie is a sweetheart, for sure. And you can see the live between those two in only a few minutes with them. Beware of his handshake. The guy has some serious meathooks with hydraulic vise capability! A real man's handshake. Was great to meet them both, and their friend Joe. Didn't get the invite up, but would love to be able to go. Very cool Mike and are you going? Thats the plan so far, Minnie called the show and reserved tickets in our names. She hasn't called back with the Hotel info yet so we are waiting on our airline tickets and hotel reservations till then. That sounds like a fun and exciting trip Mike! Interests:prospecting, riding, shooting, etc., etc. Funny watching Tony bird dog Parker. Kid wondered WTF when Tony showed up with his gold jar on his first clean-up wanting his cut. He definitely must have a nose for gold. He could be 100 miles away and when Parker is ready to do a clean-up, Tony is right there.